Stjernedrys´ Balou. Born 29.5.2011 Male. 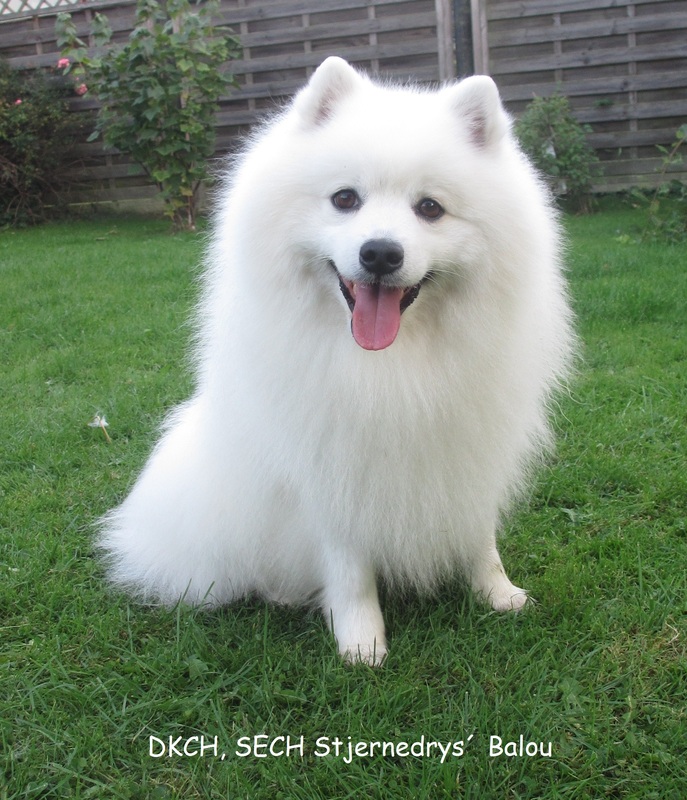 Patella free. Danish, swedish and club champion. 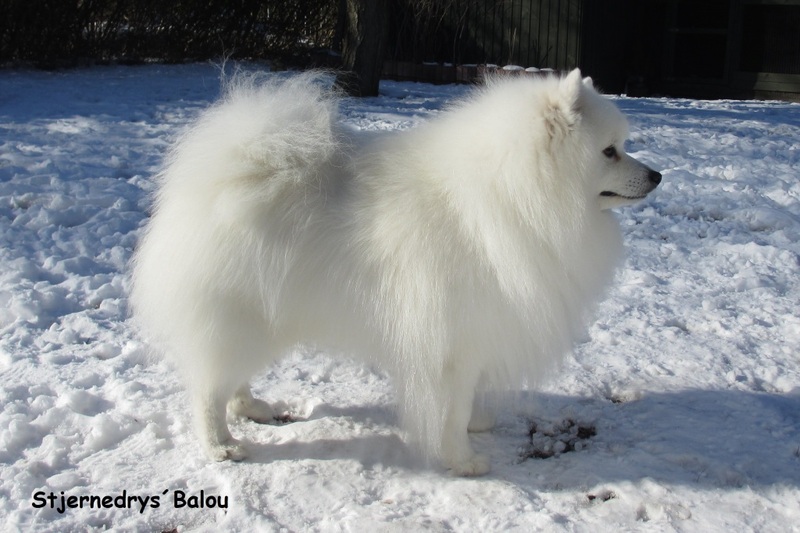 Balou is born here and is son of Sheila (Kokoro's Rihanna Bella) and Sirius (Aya-san's Sirius den klare stjerne). 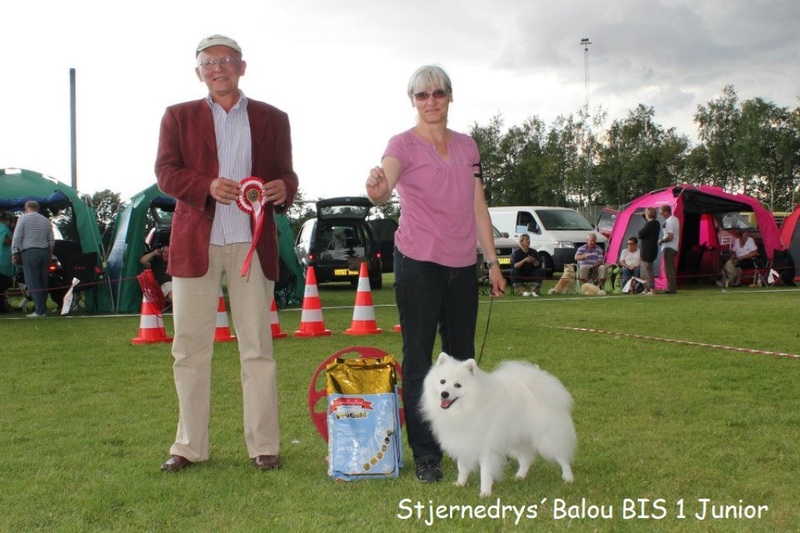 At Balou's first dog show, Marts 2012, he was Best Junior. In Fuglebjerg, August 2012, he was Best Junior again, and was 3rd best male in breed, and BIS 1 Junior. In Herning, November 2012, he was 2nd best junior. 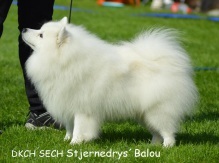 In Strøby, Marts 2013, he was best in middle class, and was 2nd best male in breed. 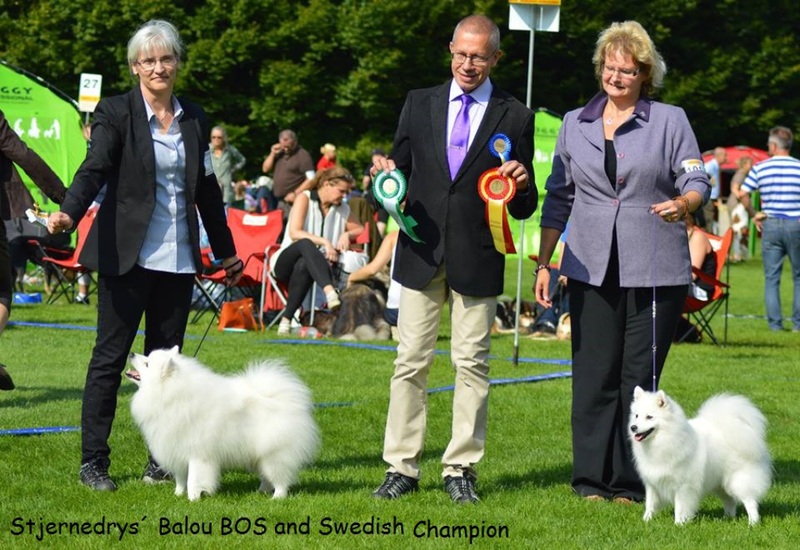 In Årslev, June 2013, he was best in middle class, 2nd best male in breed, and now Danish Champion :-) In September 2013 Balou was in a dog show in Sweden where he was Best male in breed, BOS with CACIB and became Swedish Champion :-) In May 2014 at the international show in Roskilde he was BOB with CACIB. 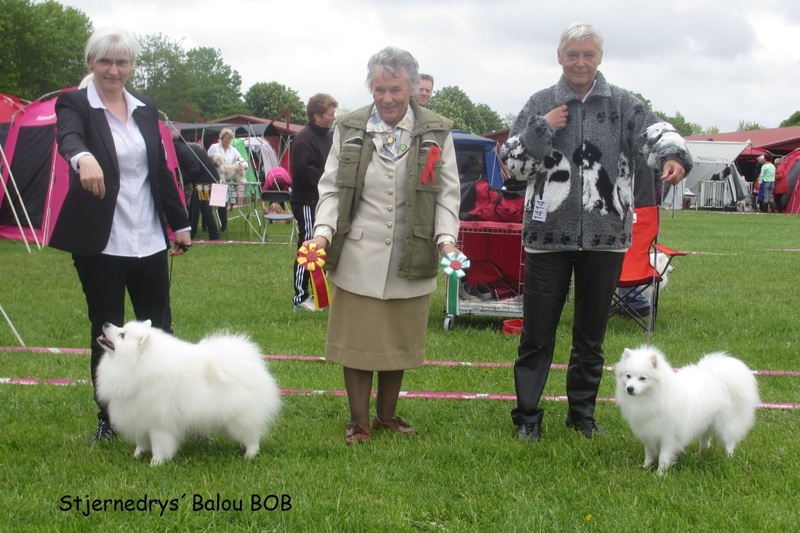 In Noumünster/Germany May 2014 he was Best Champion male and 2nd best male in breed. In december 2014 he became splitz Club champion. 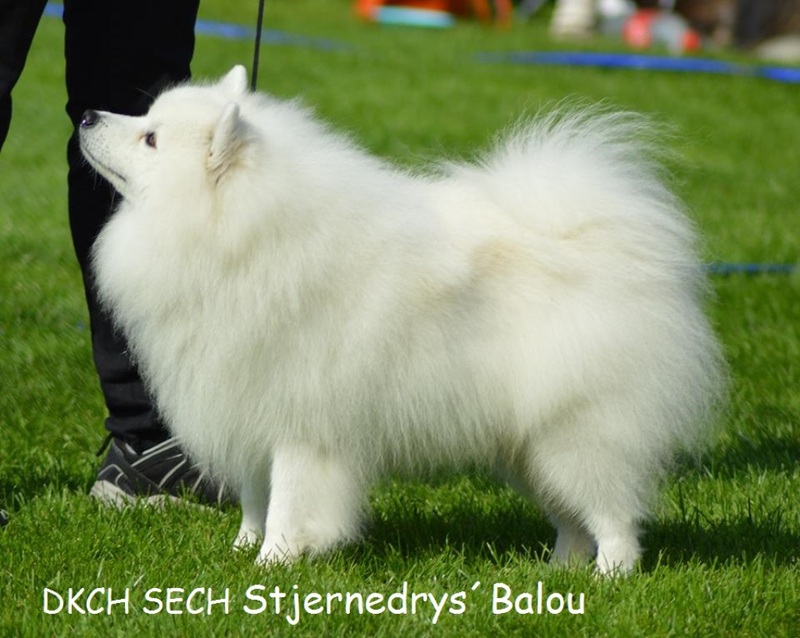 Balou is a lovley and very handsome boy, always happy and ready for new adventures, a good show dog. He loves to play, but also easy to calm down when the game is over. 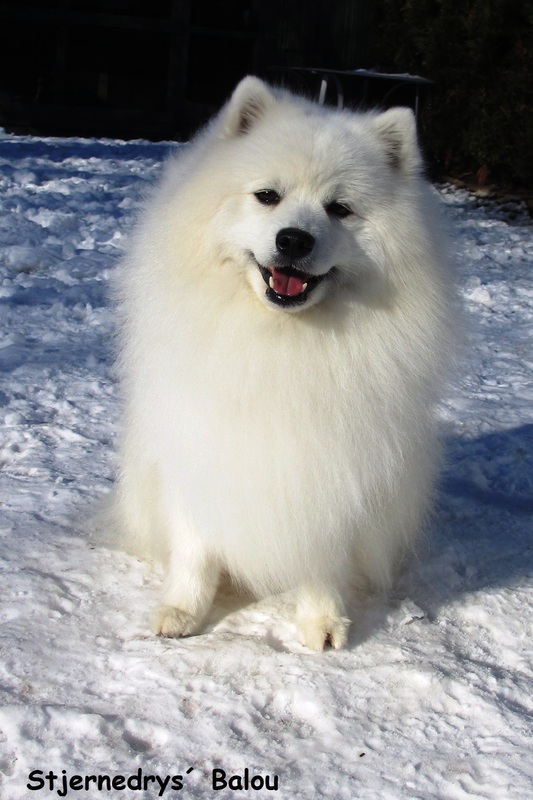 He has a big confidence and a verry calm soul. He is not afraid of anything or anyone, but he is verry fond of girls. 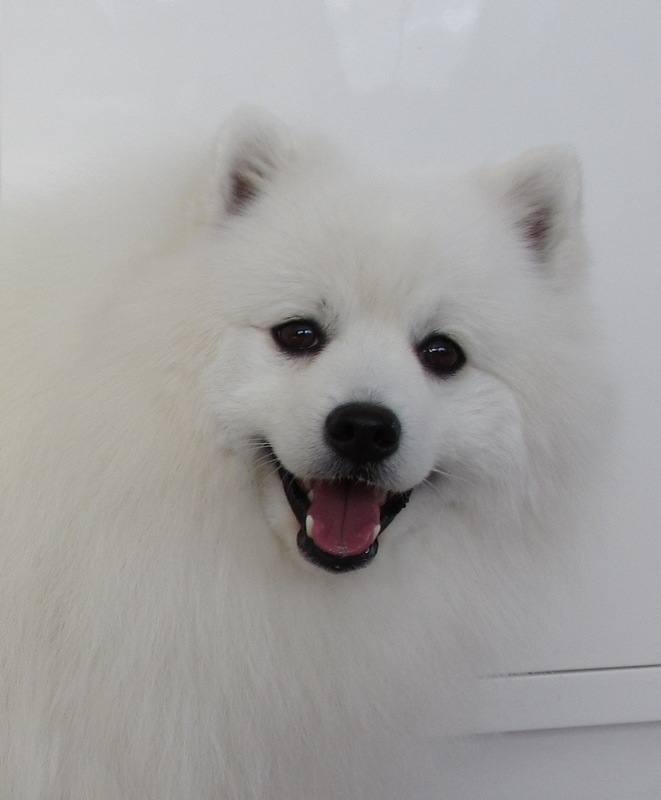 He goes to all people with big happiness and trust. 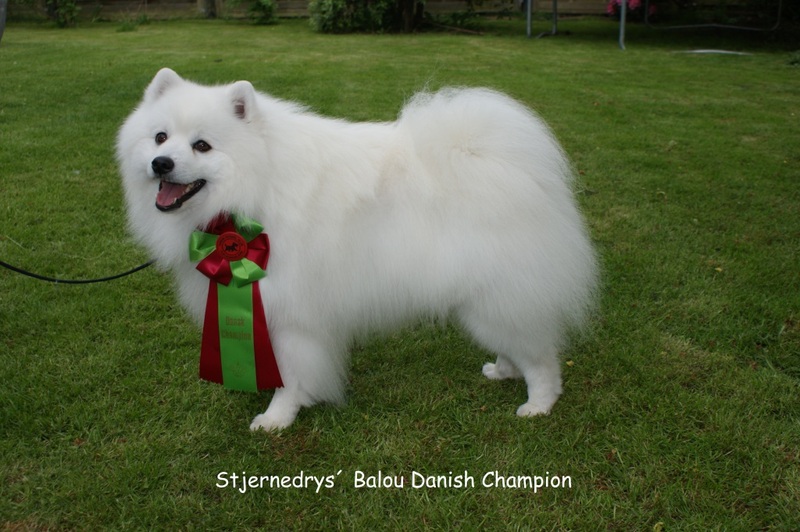 Balou is father to two litter i Denmark.